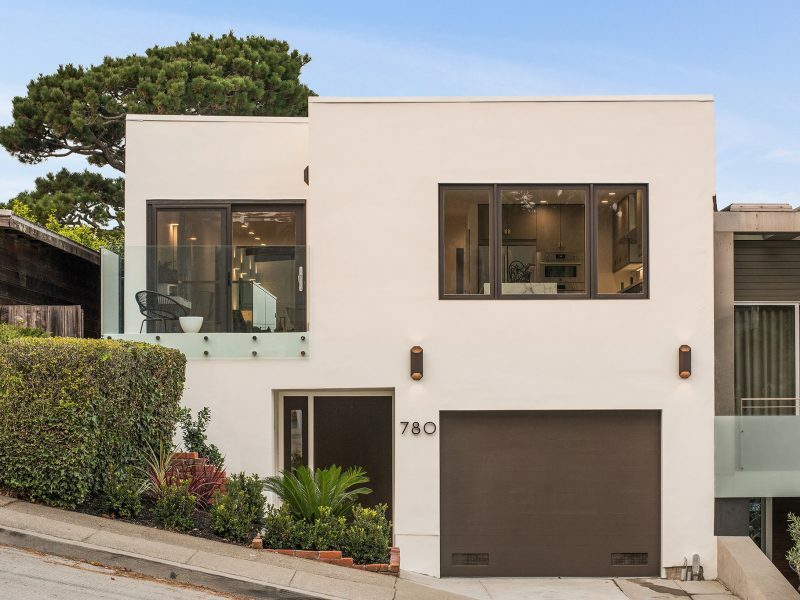 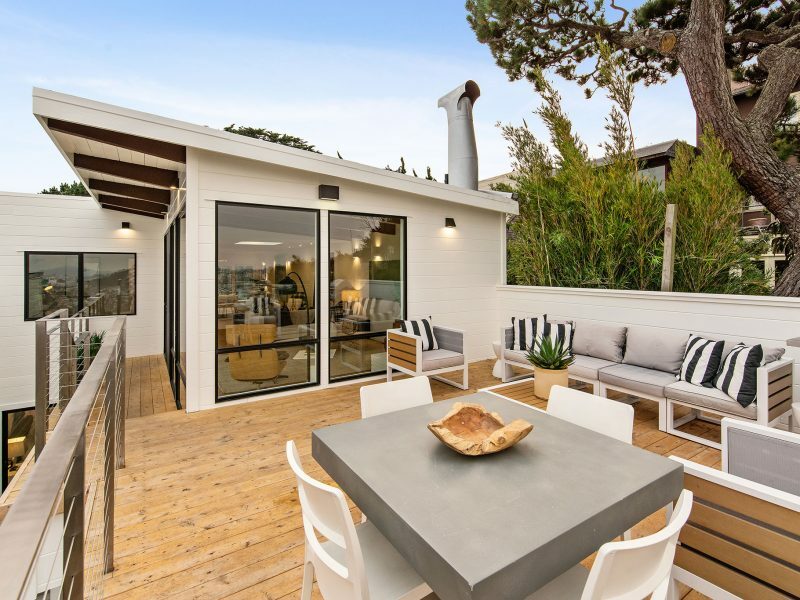 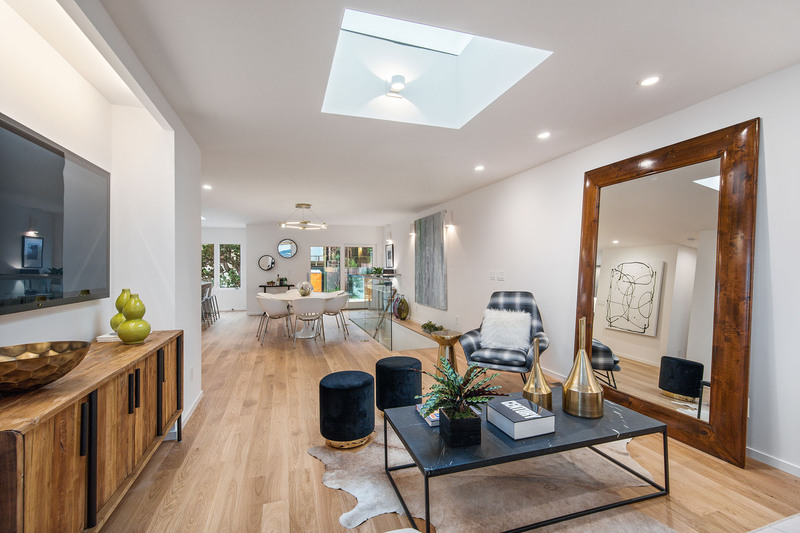 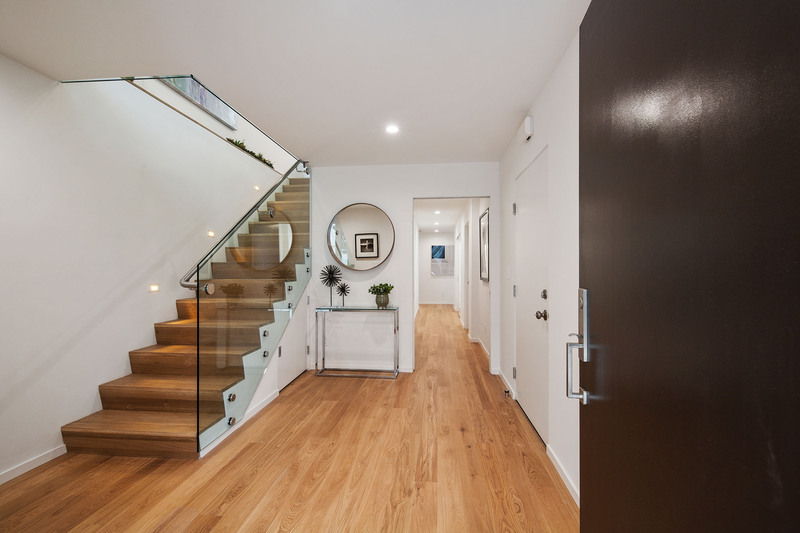 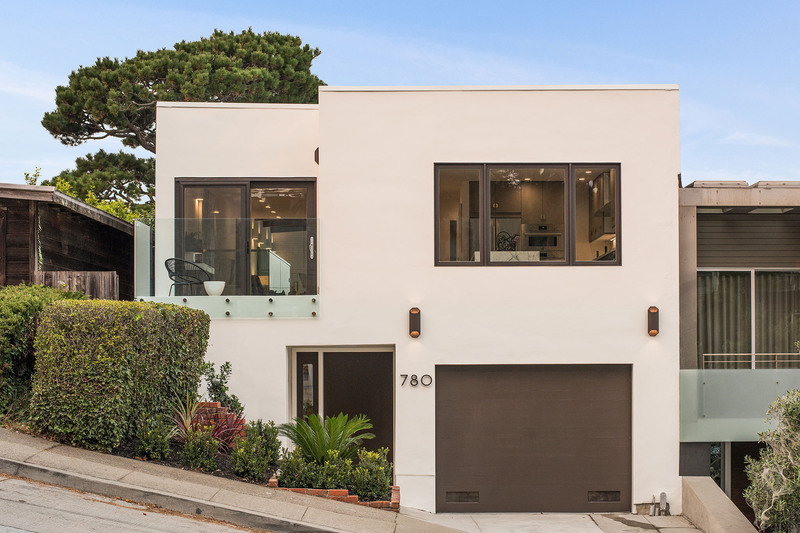 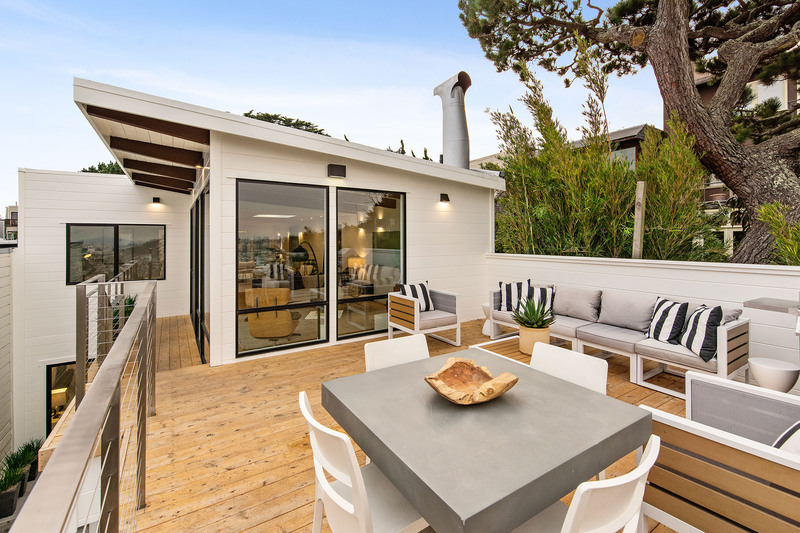 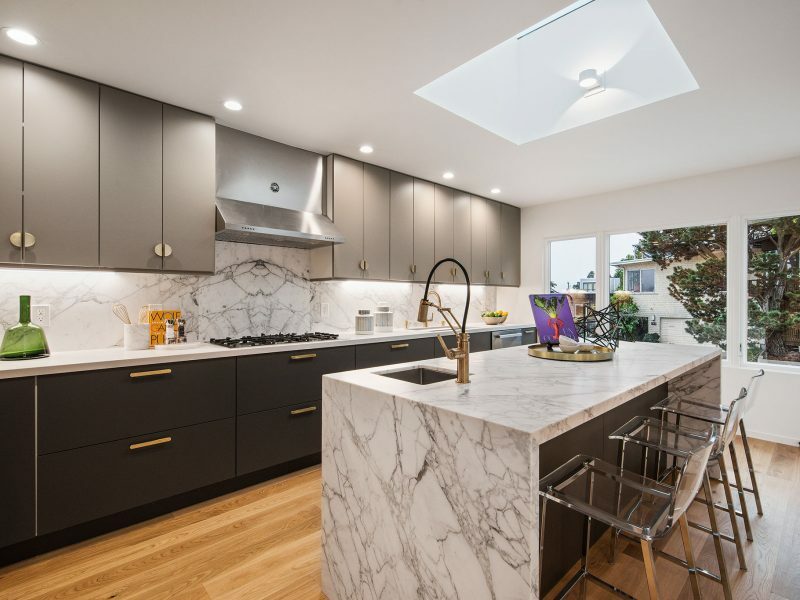 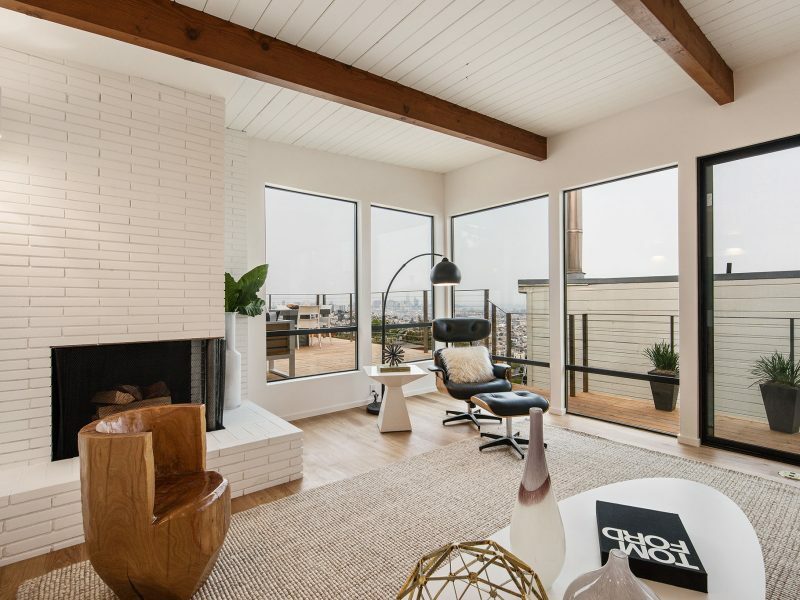 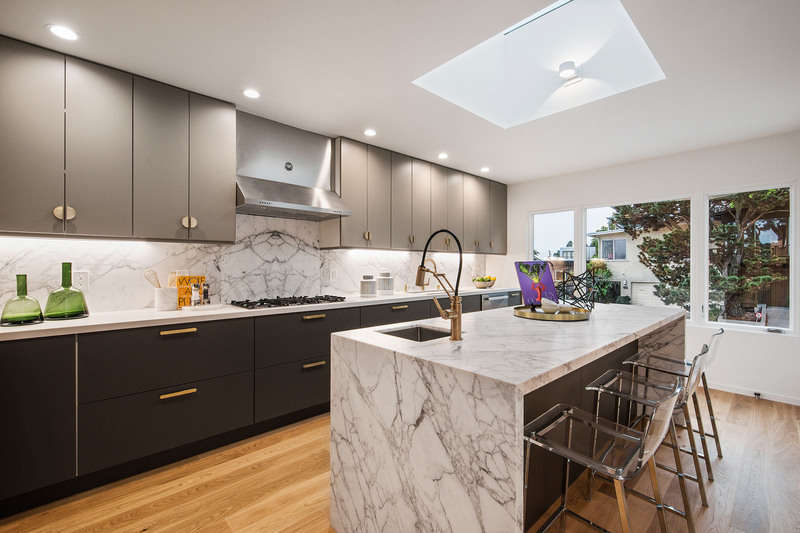 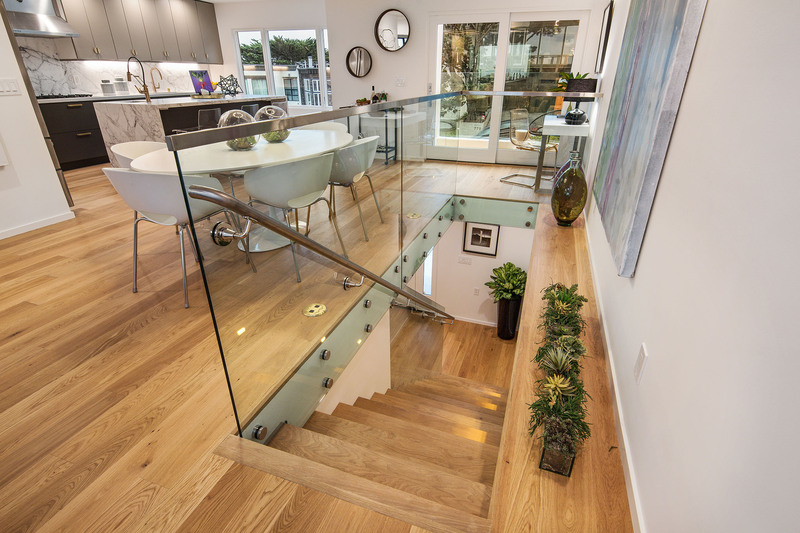 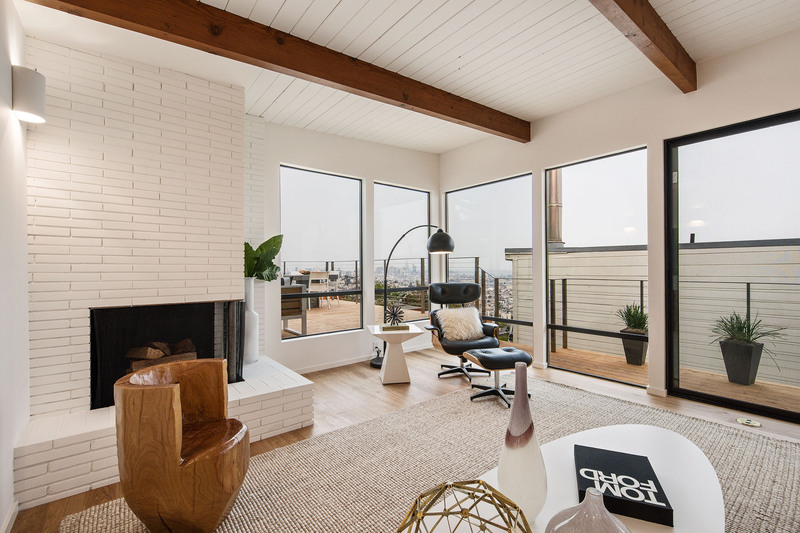 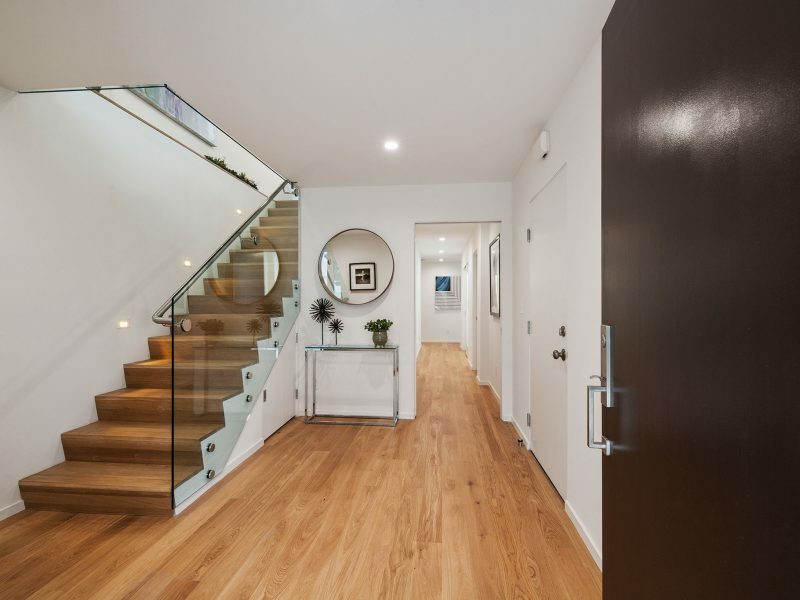 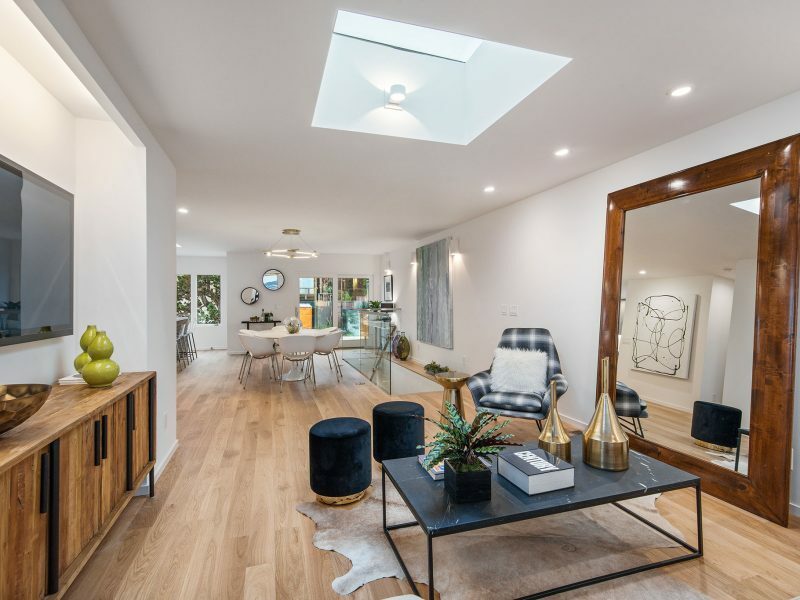 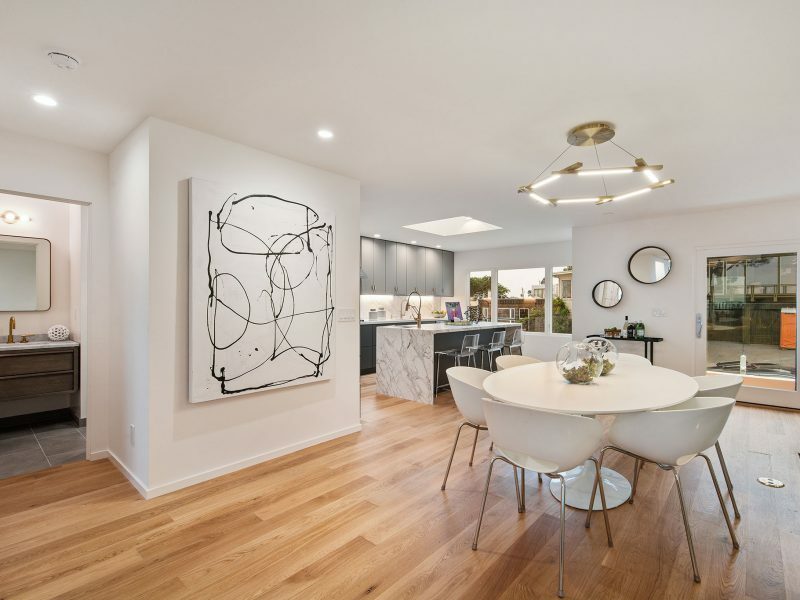 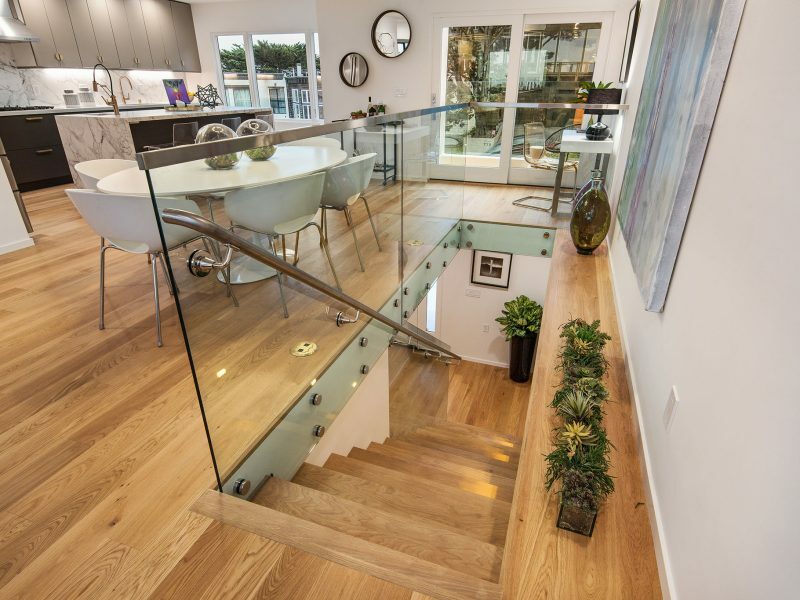 This project is a remodel of a mid-century single family house in Diamond Heights with a beautiful, sweeping view of the city. 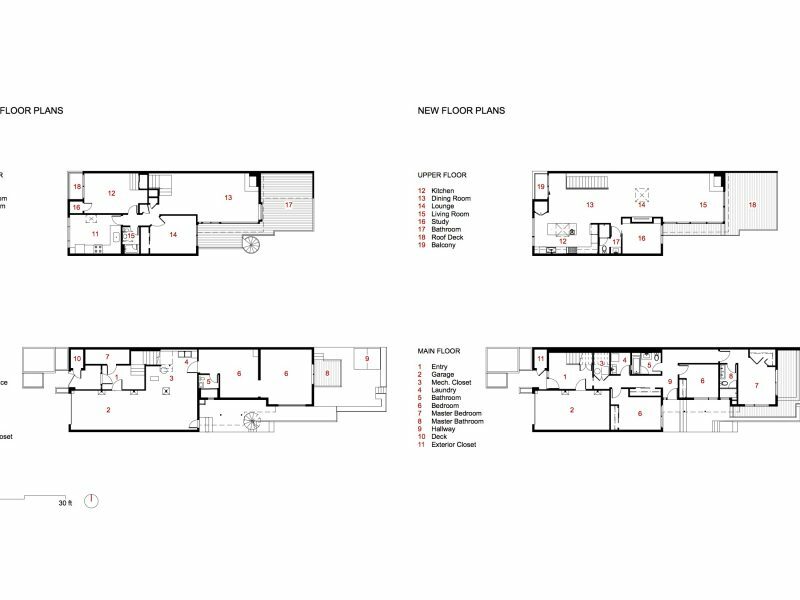 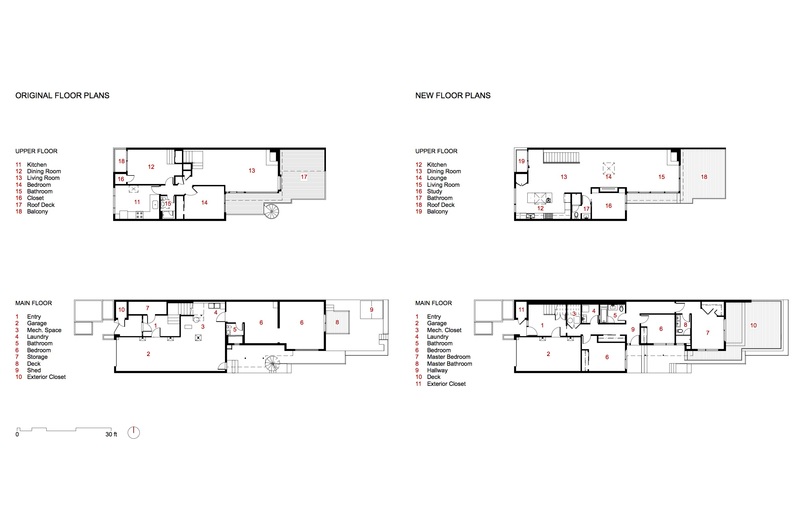 The new plan relocates all the bedrooms to the lower level allowing the upper level to open up to a great room. 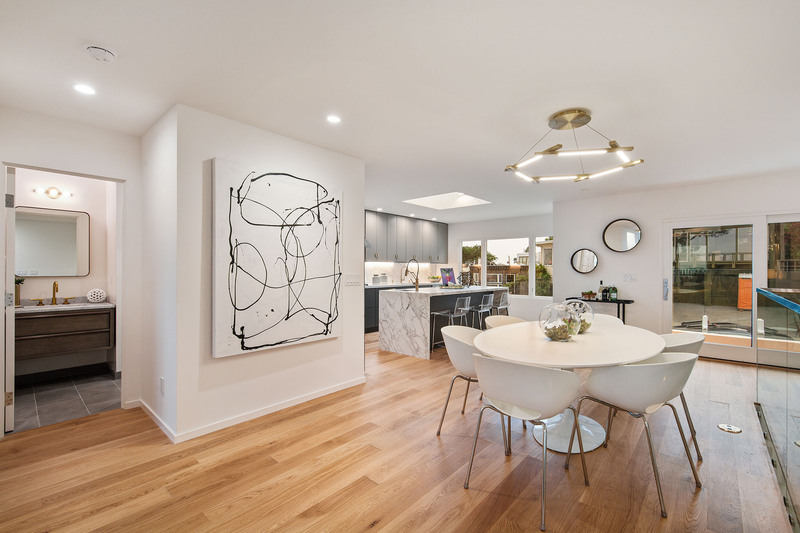 This great room houses the kitchen, a formal dining room, a lounge, and the living room. 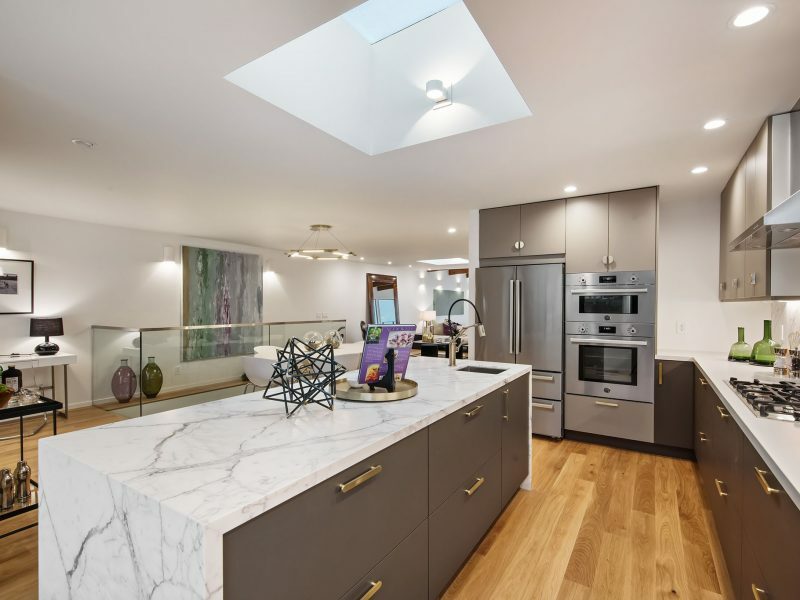 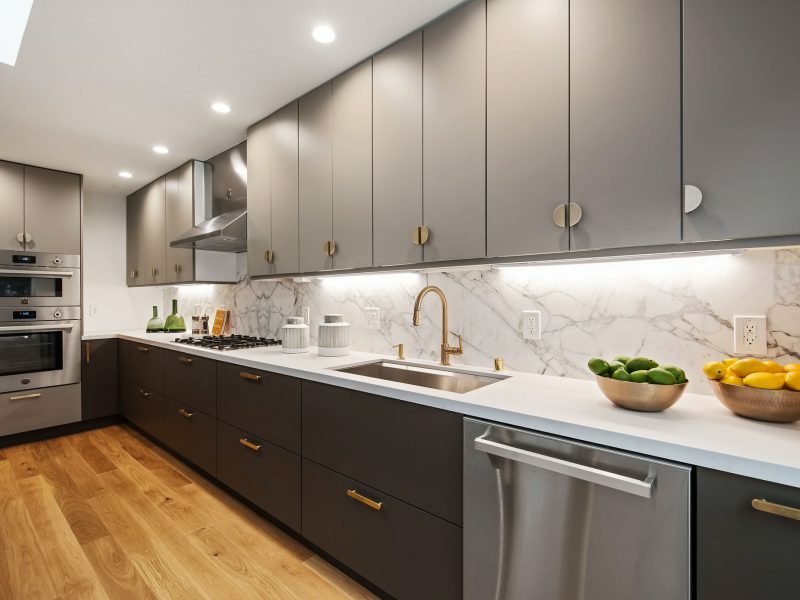 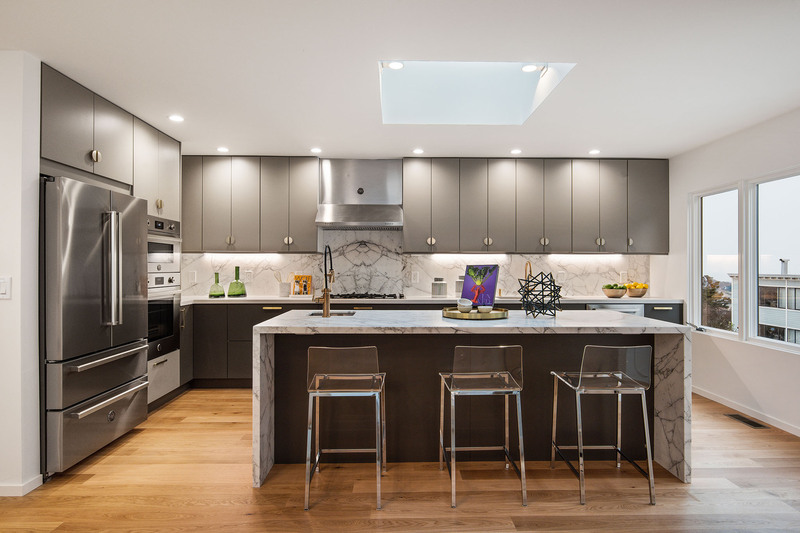 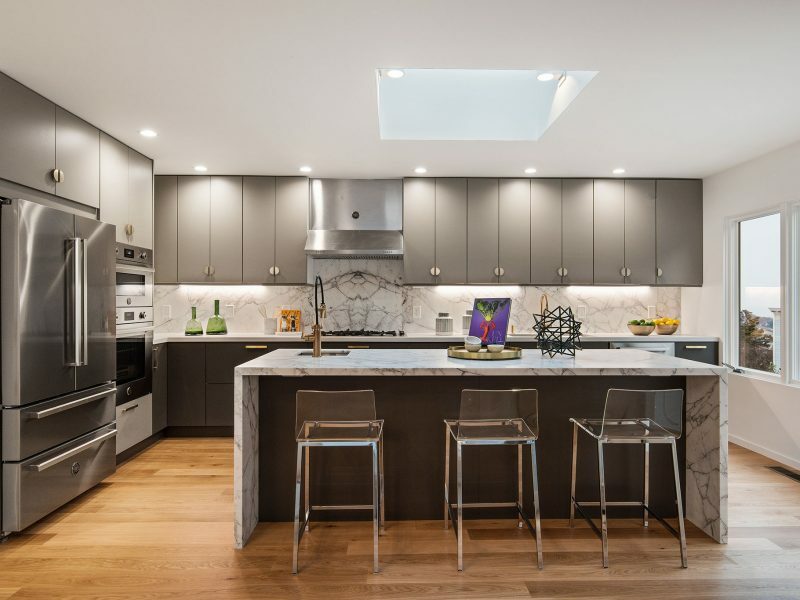 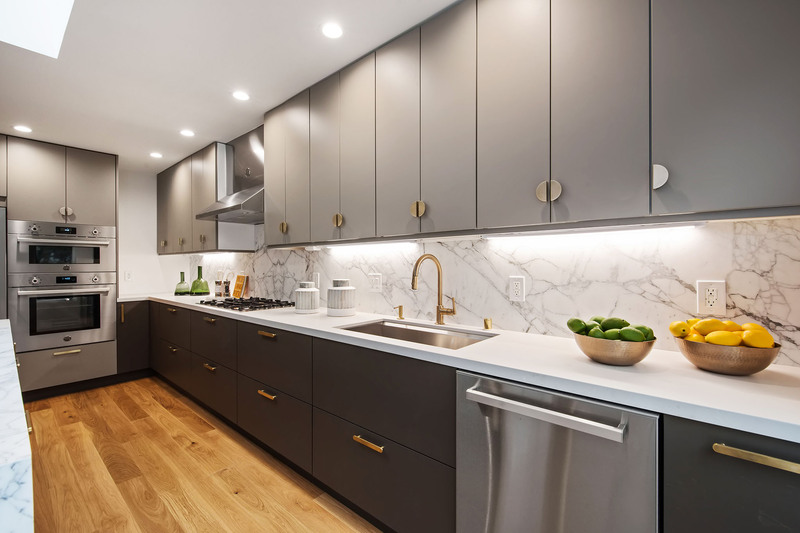 New materials such as glass guardrails, modern lighting, and marble throughout the renovated kitchen update the space while existing elements such as the fireplace and exposed beams were restored to preserve the character of the original house. 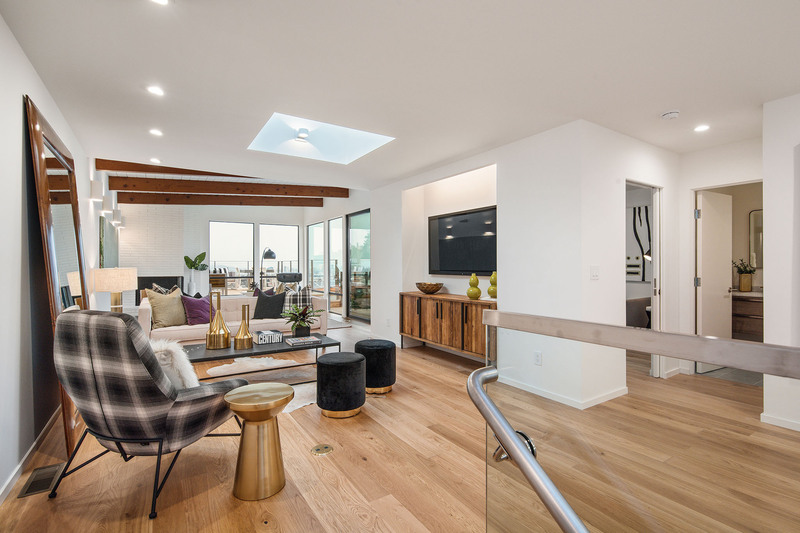 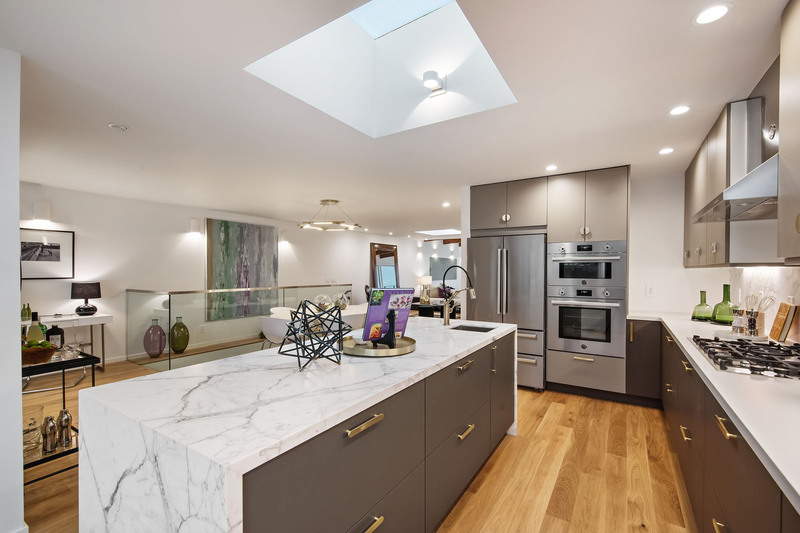 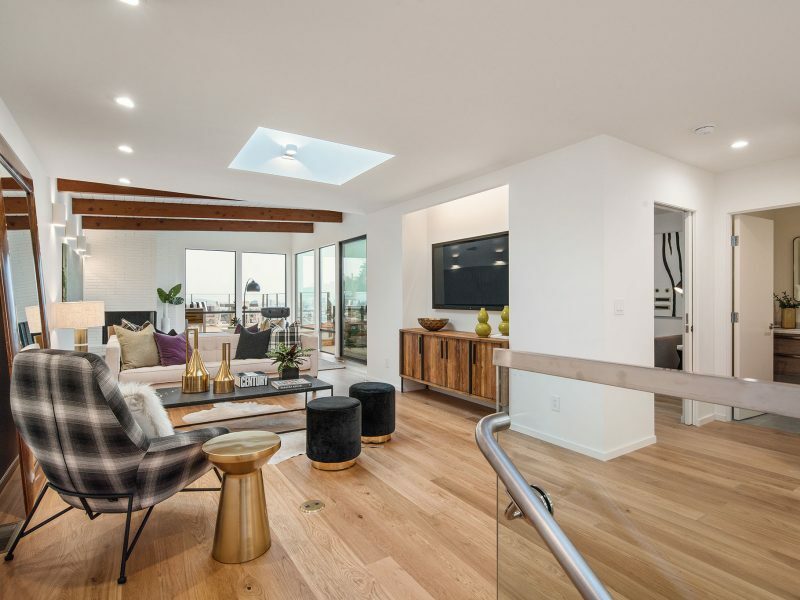 In addition to replacing the doors and windows throughout, new skylights were added, giving the great room an even more open, light-filled ambiance.